Spaying your pet entails surgical removal of the reproductive organs. In females, these are the ovaries and uterus, and the procedure is called an ovariohysterectomy, or spay. For routine spaying, the best age for cats is before puberty. Spaying is considered a routine abdominal operation. The procedure is done with the animal under general anesthesia and consists of a small incision in the abdomen for removal of the ovaries and uterus. Recovery is generally prompt. Most cats can go home the same day and are back to normal within seven to ten days. Neutering is the surgical removal of a male cat's testicles. 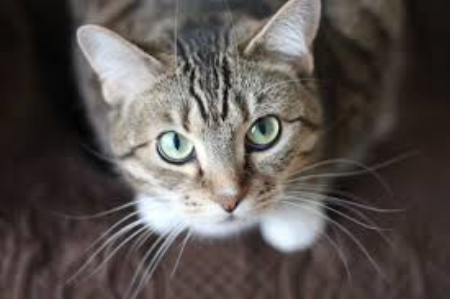 During the procedure, each of the cat's testes and testicular epididymi are removed, along with sections of the cat's testicular blood vessels and spermatic ducts. The procedure is done with the animal under general anesthesia and consists of two small incision on the scrotum. Recovery is generally prompt. Most cats can go home the same day and are back to normal within three to five days. All services and prices listed below are offered only on the day of your pets scheduled spay/neuter appointment. If your pet has already been sterilized please visit our vaccine clinic page for pricing and services offered at Companions Plus. Monthly topical flea prevention for cats 8 weeks & older. *Mail in rebate: Buy 6/Get $10.00 OR Buy 12/Get $25.00! Monthly topical flea & tick prevention for cats 8 weeks & older. *Mail in rebate: Buy 3/Get $5, Buy 6/Get $10, OR Buy 12/Get $20!